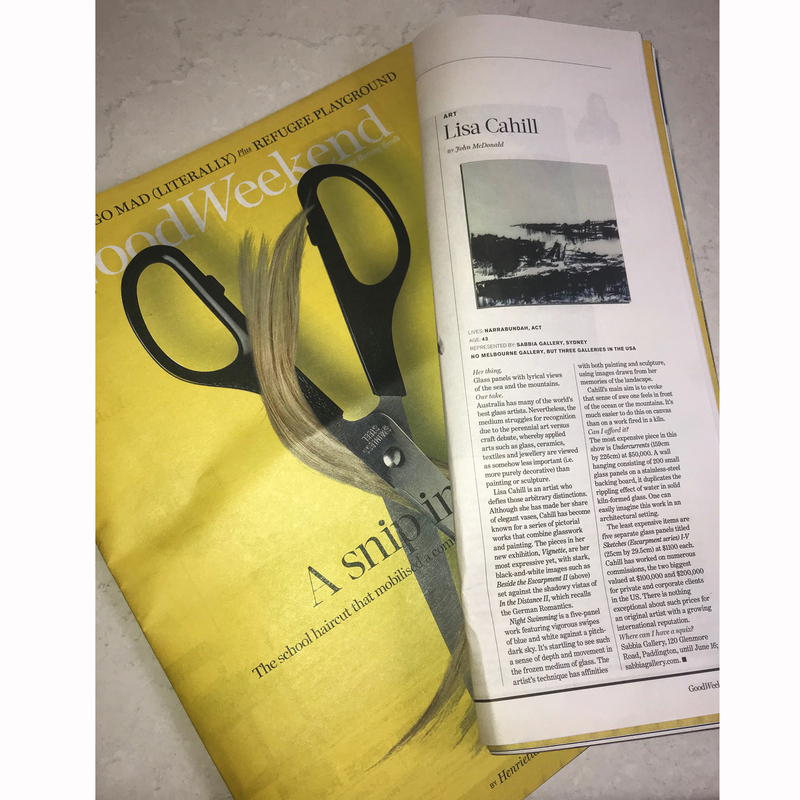 Sabbia Gallery’s artists and exhibitions have had a busy time in both the digital and print media recently. 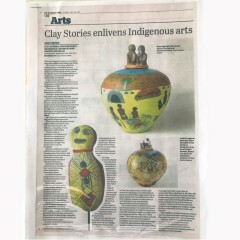 Clay Stories received a full page review by Kerry-Anne Cousins in the Canberra Times, and well as online in the Sydney Morning Herald, Ben Edols and Kathy Elliott got a spot in the Weekend Australian and Lisa Cahill’s solo show Vignette received an incredible write up in the Good Weekend, (print and online) by John McDonald. John is a highly respected art critic and writer, who has a deep understanding of the international and Australian art world. We are so pleased that he has recognised Lisa’s abilities. 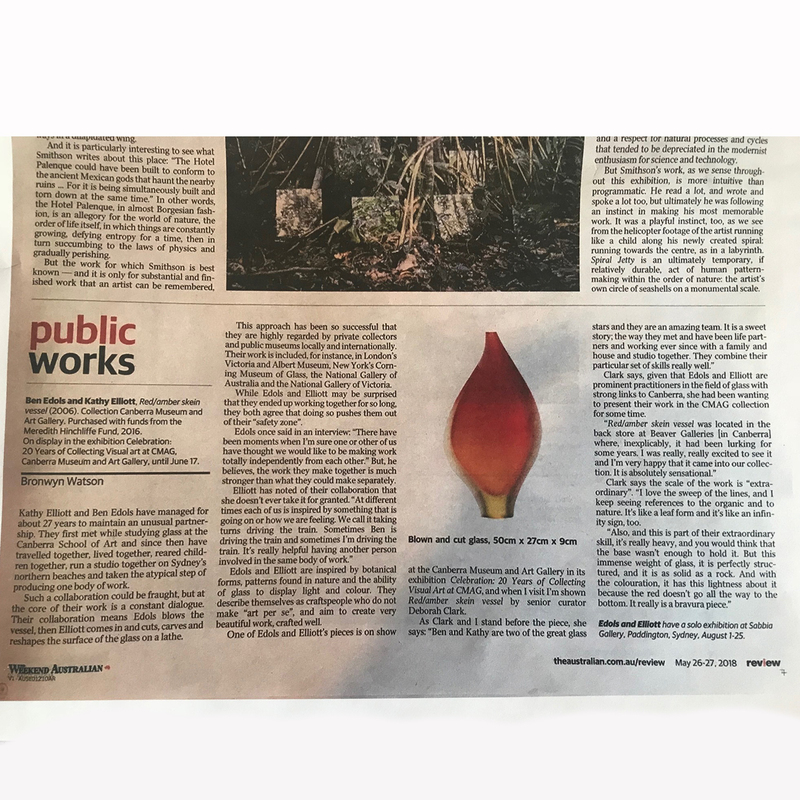 After the successful opening at Strathnairn Gallery, Canberra of the latest instalment of this touring exhibition we were pleased to have such a great review in the Canberra Times. Kerry-Anne Cousins reflects on the differences and similarities of these 5 remote communities and their artists abilities with clay.